There is a distance, generally, between the artist and the audience during a performance that is physical, but also metaphorical – you are here to witness the performance and then head on out, vehemently discussing the performers’ nuances, quirks and flaws. But what if it could be more than that? What if the performers drew you in, enveloped you in a full-fledged interactive concert that accosted your senses, cropping up not just onstage – but out amongst you? 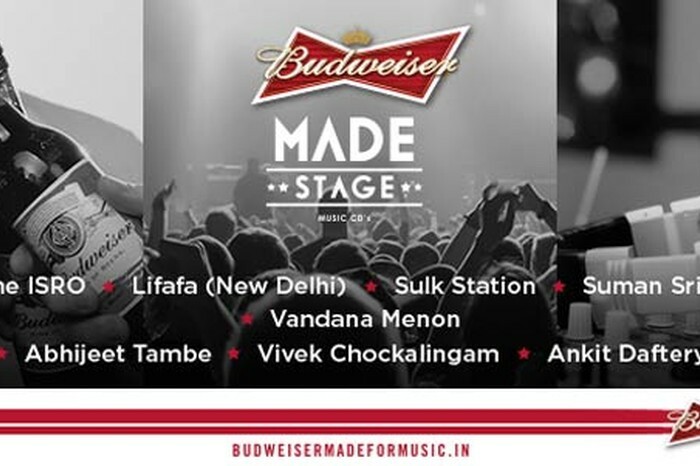 Audience and space acquire an evolved meaning at Budweiser’s #MadeStage event in Bangalore, because what they’ve got in the pipeline attempts to take their jaw-dropping gigs in Mumbai & Delhi up a notch. A collaboration between musicians, a sound artist, a visual artist, and a sculptor – this is a mission to add dimension to your gig experience in a way you probably haven’t before, at least in India. The immersive audiovisual performance piece, hosted at Pebble, features Bangalore’s premiere electronic band Sulk Station, solo electronic music producer Lifafa and vocalist Suman Sridhar performing with Abhijeet Tambe (Black Box Project), Vandana Menon, artist Vivek Chockalingam, Ankit Daftery and Yashas Shetty joining them to present a two-hour journey involving an onslaught of sonic and visual innovations. The audience space dotted with seemingly innocuous objects and structures is all set to come to life one-by-one as Sulk Station’s tunes progress, revealing themselves to be interfaces that allow the audience to control sound, light and video elements in the performance. The band starts ebbing away from their regular songs to construct only musical structures that hang like question marks above the audience – the performance is now as much off the stage as it is on-stage; speakers, lights and live visuals amalgamating with the music structure to blur the lines between the audience and the performance. The night undulates into a visually-rich trip loaded with a spatial sound, with film footage lending a voice to the narrative; vignettes provided by the Black Box Project and Sulk Station are to be screened, with the audience able to interact and trigger audio and visuals that build on the pre-existing story line. Visually, a mix of mixed media forms such as animations, photographs, film footage etc blend with synthesized sounds, recorded samples and real instruments, sonically, to birth this lovechild. The third edition of this four-part series, this performance is designed to bring together local artists in India and enable them to showcase their talent, bringing together an eclectic mix of individuals spanning the artistic sphere, from around the country, to create unique experiences that they showcase in multi-city events in key metros –Mumbai, New Delhi, Bengaluru & Goa. 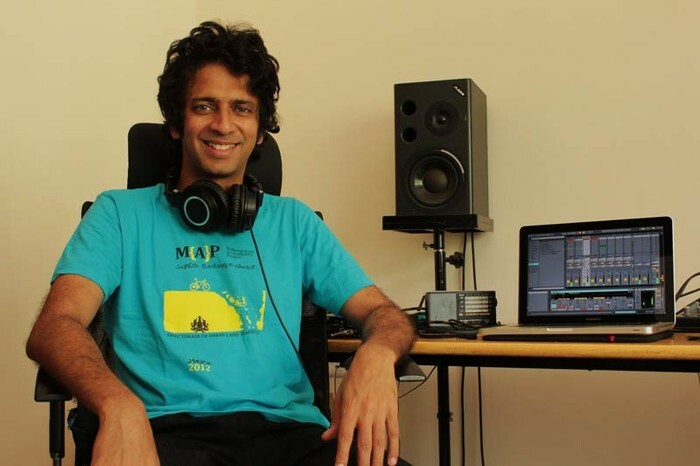 A Bangalore-based musician and sound designer, Abhijeet Tambe is the man directing the team that’s putting together the show in Bangalore. His interactive sound and art initiative Black Box Project weaves the city’s soundscape with conversations, stories and city sound, and his work Still In Transit (2004) is a travel music/film project with 22 musicians from seven countries. “For this performance we are doing something that I think is quite special. We have a great line-up of musicians that I am really excited to see performing on the same night, but we are also putting an installation in the audience space that will allow members of the audience to interact with it and manipulate sounds while the concert is in progress. So rather than listening passively the audience is participating in the act of creating sounds at the concert." The cohesive nature of the project has clearly fostered a sense of solidarity amongst the team, about whom he talks about fondly. “You can expect fun! There are going to be live musicians playing while there is a musical installation not far from them. The Installation is interactive and will let the audience be able to make their own music. The installation is hooked up with sensors which will trigger sounds and beats (each different for different bands). In a gig we are trying to make the audience also part of the performance. My role in this project has been to make the physical art/installation. This is my passion (creating experiences by making art). The team is comprised of many individuals who are talented in various fields. We initially had to spend time understanding the skills we had. As our jam/workshop sessions started, we figured how we were going to merge as a team." So what is it that sets this gig apart from any other? "I've collaborated with the others to have an installation that will let the music react to the audience. In the frame that Vivek is making, I'll be installing some electronic sensors in innocent looking everyday objects, that will react with light when somebody comes close or touches it, among other interactions. These will also trigger some sounds or modify the existing sound that is playing at the moment. The idea is to provide an experimental space for people to participate in the performance, and have an isle of their own where they can explore sounds for themselves." So what is it that makes it stand out? "There are few (very, very few) performances that allow the audience to participate, and that have interactive, glowing objects that come alive when people are present, so this one's really going to be wacky - also because we don't know what the final result will sound like (laughs)." “The central idea behind the Bangalore leg is interaction - where the audience can manipulate the audio that is coming out of the stage and create their own soundscapes using objects, sensors, etc which is part of a structure/installation. So, in many ways, we will be performing alongside the audience (our new band member!)." What have you guys planned that sets it apart from any other gig? 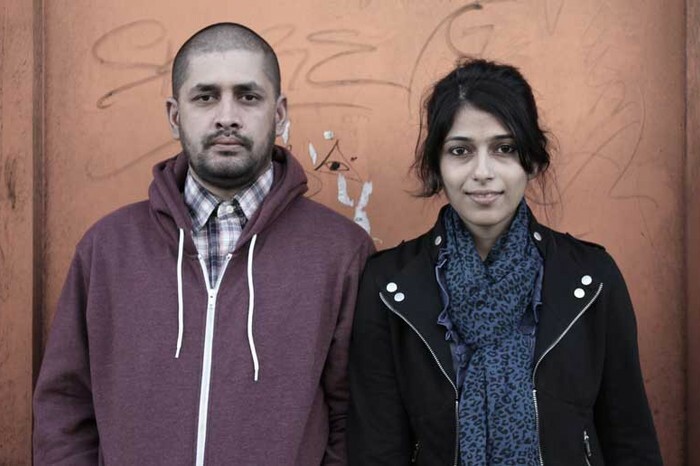 One half of genre-bending duo Sridhar/Thayil Suman, Suman has performed at the Great Escape Festival (UK), Galle Literary Festival (Sri Lanka), Southbank Centre (UK), and National Centre for Performing Arts (Mumbai) to name a few. 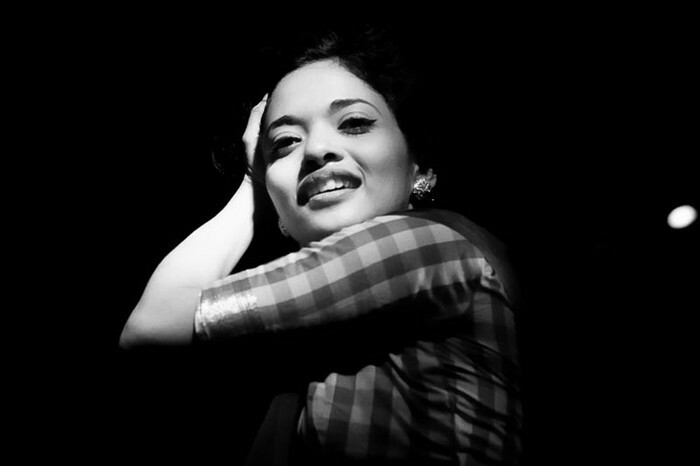 Sridhar grew up in Mumbai with Indian classical music in her family, and her background today ranges from singing in classical choirs to jazz and contemporary ensembles, cabaret and musical theatre across the NYC area and India. 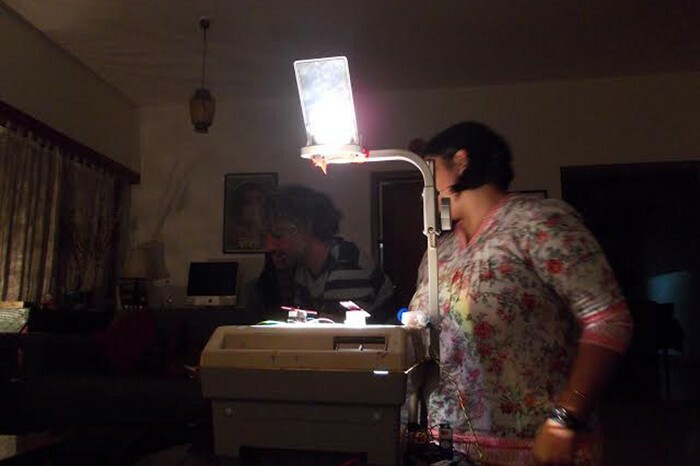 "The Indian Sonic Research Organization often performs with handmade, home-made instruments. 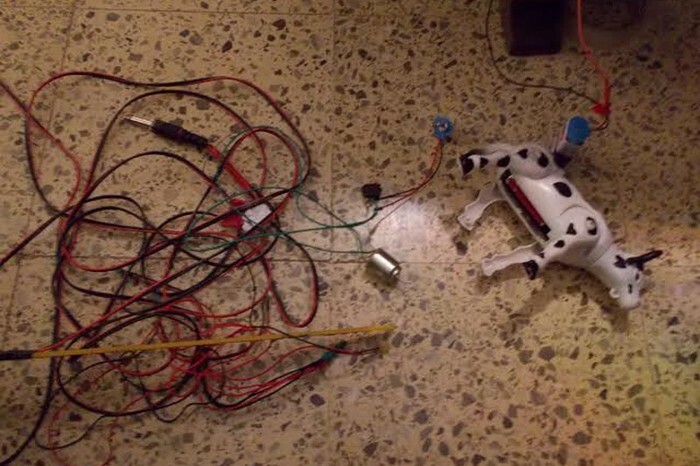 For Bangalore, ISRO will have robots manipulated by light performing along with the band. These performative light machines will hopefully take the audience on an audio-visual trip." On vocals, organ and guitar for the Delhi-based gypsy jazz/cabaret band Peter Cat Recording Co., Suryakant Sawhney is also a solo electronic music producer under the moniker Lifafa, as a part of which he dabbles in lo-fi electronica and ambient jazz. His debut solo record, Lifafa 1, released in January 2013 featured a soundscape peppered with an eclectic mix of disco groove, drawling vocals and mutated chants, and the pallor of 'chudailstep'. 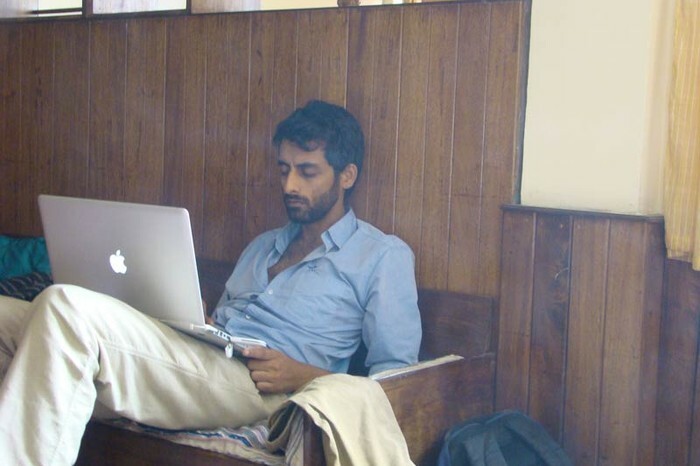 "Well , Abhijeet Tambe's vision is to make the artists part of an interactive sculpture/installation. As we perform our sets , the audience will have the ability to modify and play with aspects of the sounds we are producing which will hopefully create moments of unpredictability and encourage them to get into it more. Musically, apart from many of or normal songs , we're also creating some pieces specifically designed for allowing that sort of interaction. Much of it may be created on the spot depending on where the audience is taking it." Conclusively, this isn’t the kind of trajectory that can be foretold or deliberately explained. Given the level of artistry involved on most accounts, this is likely to be one of the most interesting experiments in audio-visual design you’ll witness this year, and maybe even next. And since we don’t know if something like this will ever see a truly public platform like this again, you’d do well to show up and experience it first-hand. Click on image to head to the facebook event page.